Jiangsu Giant Ally Imp. & Exp. 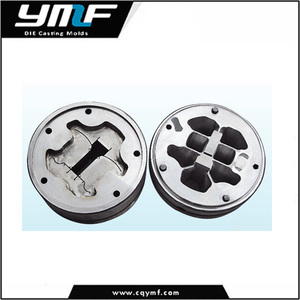 Co., Ltd.
Foshan Shunde District Yongsheng Mould Co., Ltd.
5. 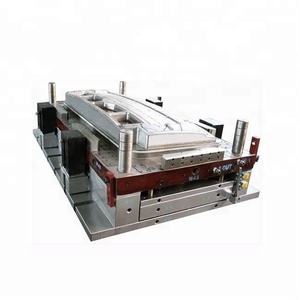 Base on more than 21 years experience in specialized manufactruing and designing Aluminium Extrusion dies hot extrusion die , we enjoys extremely high appraisal in field and owning specialized brand. Packing and Shippment for Aluminum Extrusion dies and profiles 1.We will choose different packaging and shipping method according to different die dimensions and quantities. 2.Smaller die be packed in carton boxes and bigger die be packed in ply-wooden boxes, which will provide a strong protect for dies during long-time transportation. 1. We are Factory with more than 15 years in factory industry & building aluminum profile extrusion die and tool. Our advantage is to make large size aluminium heat sinks,welcome to send us drawing or samples for quotation! Aluminum profile heat sink Customized aluminum profile heat sink. Taizhou Union Plastic Mould Co., Ltd.
Jiangsu Afly International Trade Co., Ltd.
Maanshan Tenroy Machinery Equipment Co., Ltd.
And for special shape tools and blades, lead time is around 10-15 working days. The standard operation reduces the loss of working hours, improve the efficiency of working. 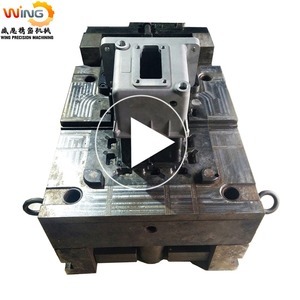 Continued after-sales service will lift the customer's worries in using our toolings. High Quality Tungsten Carbide Aluminium Extrusion Dies wire drawing dies 1. 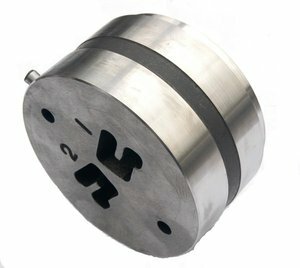 Description of tungsten carbide wire drawing dies: Tungsten carbide wire drawing dies carbide drawing dies Carbide nibs in blanks Wire straightening & guide dies Carbide coating dies PCD wire drawing dies UKO is suppling both carbide nibs in blanks and finshed carbide drawing dies with steel case. 2. Application of carbide wire drawing dies: steel wire rod plant using drawing: low carbon steel wire middle carbon steel wire hight carbide steel wire stainless steel wire copper wire 3. Standard size of carbide wire drawing dies item No. ------------------------------------------------------------------------------- Address: Xinhua West Road, Hetang district, Zhuzhou, Hunan, P.R.China . IWD aluminium extrusion dies Each custom-manufactured extrusion tip is engineered with unique applications expertise, to ensure proper wire centering. 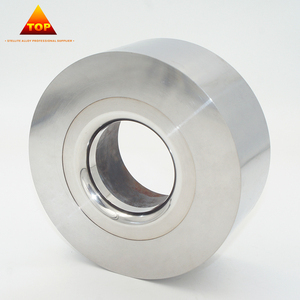 Tungsten carbide: 0.020in to 0.500in or 0.50mm to 12.5mm Tool steel: up to 1.0in or up to 25mm Applications: Telephone, telecommunication and electronic cables. Jiangyin Giansun Mould Co., Ltd.
Jiangyin EPS International Trading Co., Ltd.
Sihui Hongyuan Metal Products Co., Ltd.
Hubei Huangshi Zhongtai Plastic Mould Manufacturing Co., Ltd.
Customised PVC honeycomb Pipe Plastic Extrusion Molds/Die Characters Our Advantages Of PVC Plastic Extrusion Mould 1. Using the overall flowing path core support structure 2. Using the removable locating pin devices; 3.The channel design has avoided the dead area and retention 4. The optimized design of the flowing channel gives it a stronger impact resistance . 5. The inside and outside surface of the profile is smooth and without scratches 6.Easy to assemble and disassemble. Related Products Related Moulds: Applications Applications of Customised PVC honeycomb Pipe Plastic Extrusion Molds/Die Production Flow Trade Shows Value-added services of Hubei TianRui Mould: Comprehensive cost control service; M o u ld design ing servic e ; Emergency manufacturing delivery service: ; Mold debug ging Service; C ustomer production training service; Contact information: Wendell Wong Hubei TianRui Plastic Mould Co.
Shenzhen Apple Vista Technology Ltd.
Aluminium Extrusion Dies has been an importent product in the Moulds market over the past year, and it was very popular in United States,Turkey,India,Canada and Australia; As shown in the distribution chart, market shares of these countries are folowing: [ US:14.21%, TR:11.98%, IN:8.08%, CA:6.13%, AU:5.01%, other:54.60%]. What's the trends of Aluminium Extrusion Dies product's market in 2018 (Dec 2016 to Jan 2019)?we have studied one years data on online sales, global shipping, search, sourcing and requirements of following products Extrusion Dies. Aluminium Sheet,Here is the report.During the research period (Dec 2016 to Jan 2019), the major trends are as following.